Total 24 players will be seen in action for four days to compete for the winner’s prize of US $ 12000. The list of participants is out and placed below for the reference. The championship will see the winner of 1st championship Muhammad Bilal of Pakistan, alongside his compatriot Babar Masih and Haris Tahir. 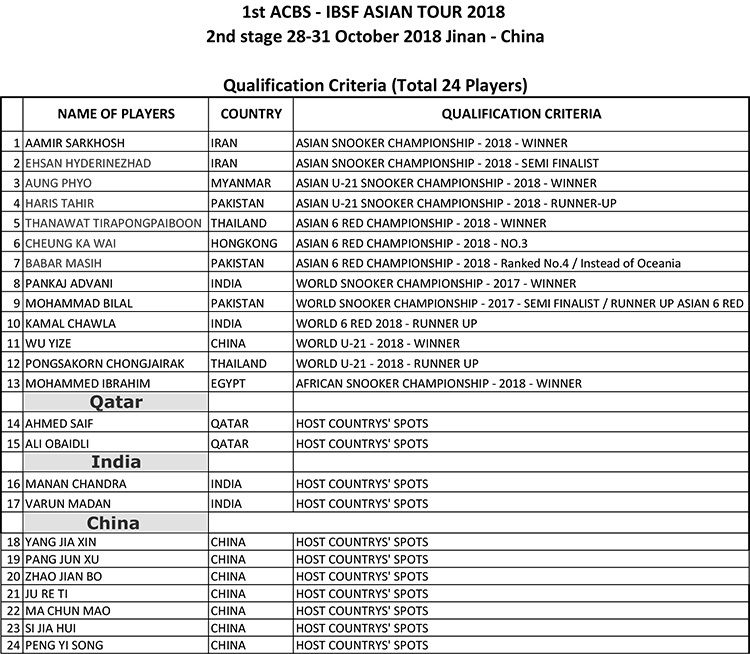 Other players are Asian Snooker Champion Amir Sarkhosh of Iran, Asian Junior Champion Aung Phyo of Myanmar, Asian 6Reds winner Thanawat Thirapongpaeboon of Thailand, African Snooker Champion Mohammed Ibrahim, the current World Champion and 19-time World title holder Pankaj Advani from India. 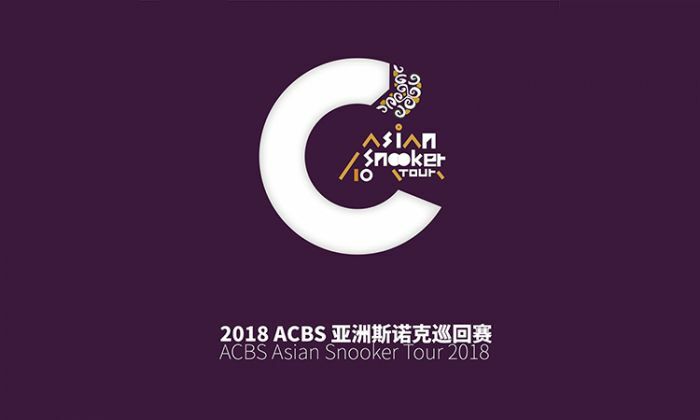 Yang Jia Xin, Pang Jun Xu, Zhao Jian Bo, Ju Re Ti, Ma Chun Mao, Si Jia Hui and Peng Yi Song will represent the host nation China in the championship. Lets gather at Jinan Xin Fu Sheng Xiang Yun Hotel to witness the exciting matches of 10Reds snooker at Asian Tour 10Reds Snooker 2018.